A few months ago Ethos Photographers went to a secret location to photograph many of the Welsh Rugby team for the Welsh Rugby Union. Some of these images are now going to be used for a Brains SA advertising campaign. 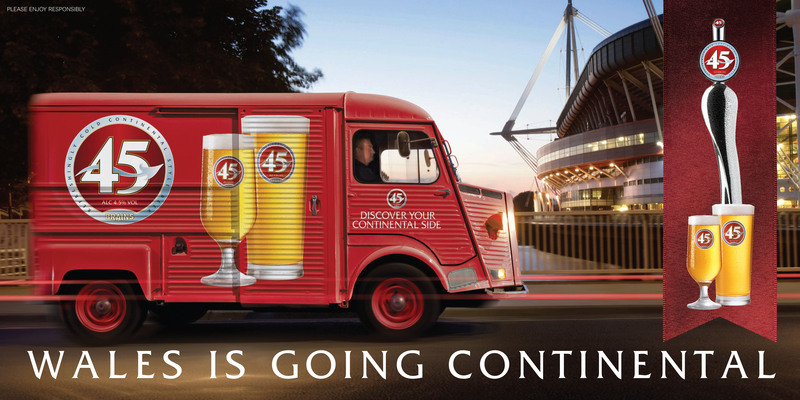 The clever ‘Four National Icons’ creative features Welsh rugby legends Sam Warburton, Alun Wyn Jones and Leigh Halfpenny alongside a pint of Brains, the fourth icon. The campaign will run across 48 sheets and bus backs in Wales. In addition four of Brains’ city centre pubs in Cardiff have been fronted with large format banners, including The City Arms which is located directly across the stadium. We’ve put together a short retouching video from a shoot we did a while ago to highlight the importance and scope creative retouching can add to a final image. The campaign was for Brains, a Welsh beer company based in Cardiff. 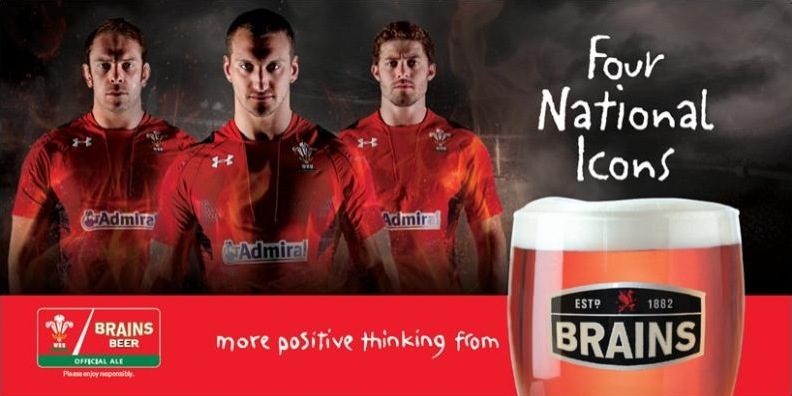 It was used on 48 sheet billboards around Cardiff to launch and advertise their new lighter lager range Brains 45. It was always going to be a complicated retouch, using four different frames in order to get the desired effect. One of the first obstacles was the client wanted a very specific van featured which unfortunately didint have any of the required branding on. Secondly an important element to the client was to feature the Millennium Stadium and after a recce we settled on one of the busiest roads in Cardiff, right next to the bus and train station and in center of the city! The final retouch had to brand the van, turning it from white to red and then add the branding, include a different sky, light trails and some work lightening the stadium, but the final result speaks for itself.